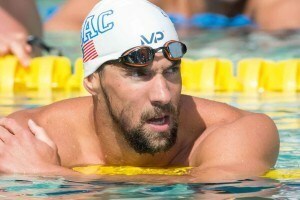 Michael Phelps is starting to inch his way back towards the type of schedule he would do at a meet before his retirement. He’s competing in more 200s, doing more multi-event days, and for the first time since his comeback, he looks as though he’s truly put in the work to be competitive in these races. Current world leader Femke Heemskerk of the Netherlands was all but untouchable during her first ever taste of competition on U.S. soil. 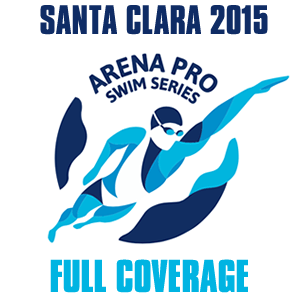 Watch Katinka Hosszu, Michael Phelps, and Connor Jaeger from day four of the 2015 Arena Pro Swim Santa Clara. For the second consecutive day, Cal Bear Ryan Murphy beat a murderer’s row of backstroking threats by a wide margin. It’s been an interesting weekend for Connor Jaeger, who won the 200 free and 1500 free, but dropped the 400 and 800 to fellow distance man Michael McBroom. 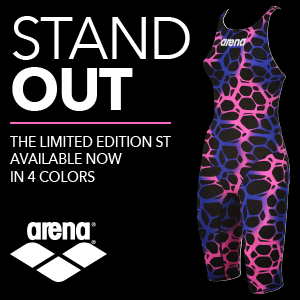 Even with the up and coming, new talent present at the 2015 Arena Pro Series Swim in Santa Clara, one veteran is still proving that she is a threatening force who keeps on fighting. In tonight’s finals session, Natalie Coughlin raced her way to a brand new American and U.S. Open record in the women’s 50m backstroke, registering a monster time of 27.51. The previous record was held by tonight’s 2nd place finisher, Rachel Bootsma, who has held the record of 27.68 since night 3 of the 2013 World Championship Trials. 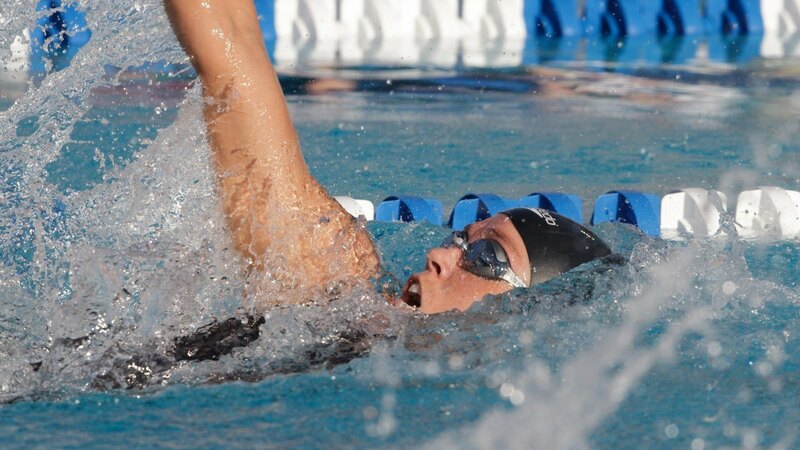 Coughlin has always been on the radar as one of America’s best women backstrokers so it was slightly surprising to look back through her storied career and see the closest she got to cracking the 28.0-threshold was the 28.09 she clocked just this past March while on the Golden Tour. Prior to that, you needed to look back to July 2011, where Coughlin earned a time of 28.44, which was preceded by a 28.49 all the back at the 2001 World Championships. This morning during prelims, Coughlin wound up third, touching in 28.71 behind Rachel Bootsma’s 28.28 and Etiene Medeiros’ 28.33. But, Coughlin’s sprinting prowess would not be denied after launching herself from the starting blocks in the evening session, hacking a huge time drop from prelims that wrangled in first place and zoomed Coughlin to the 3rd place spot in the 2015 world rankings. 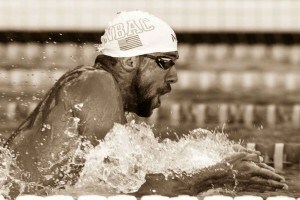 Coughlin is scheduled to swim the 50m freestyle, 100m backstroke and 100m freestyle events yet this weekend. Awesome. Natalie is the best! If she took over someone’s spot in the Olympic pole vault, I would bet on her to medal. Quickly looking a few things up – she went out in 28.52 in the 100m back in Beijing in ’08, 28.45 at Trials that year and 28.44 at World Champs in 2011. So she’s prolly been able to break 28 if she ever seriously swam the 50 back. BUT THIS IS STILL PRETTY AWESOME. QUEEN Natalie!! This is awesome!